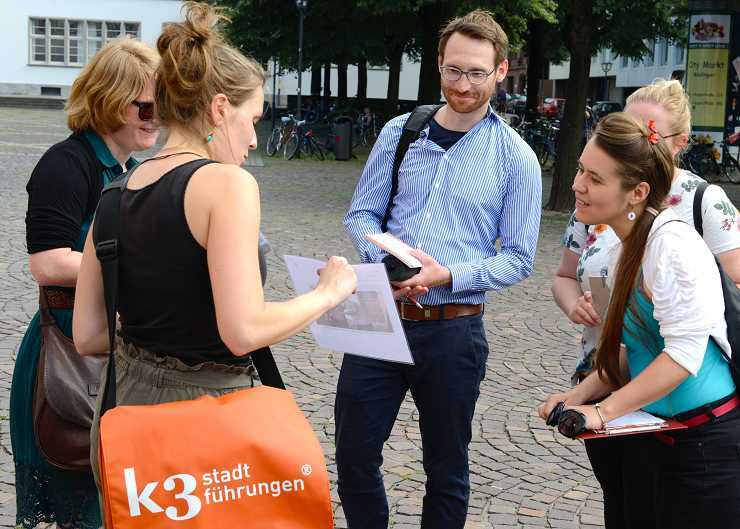 k3 stadtführungen offers guided art and city tours in various cities in Germany. We are looking for committed city guides for our tours in Heidelberg at the earliest possible time. This would be a side job or a student job on a freelance basis. We are also looking for employees who will develop a concept for a crime thriller tour. As one of our guides, you enjoy imparting knowledge of history, architecture and art in a competent, entertaining, and graphic way. You have ideas for new theme tours that go beyond the classic programme. You are reliable and friendly, with a self-assured manner, preferably someone who has studied history, archaeology or the history of art and is skilled in several languages.